A variety of symptoms such as wilting, pale foliage and twisted stands can be seen as the plants cope with stress. Plants have built-in defense mechanisms to reduce the impact of this stress. Depending on the type of stress- drought, heat, cold, nutrients deficiencies, herbicide injury – different mechanisms will be triggered. 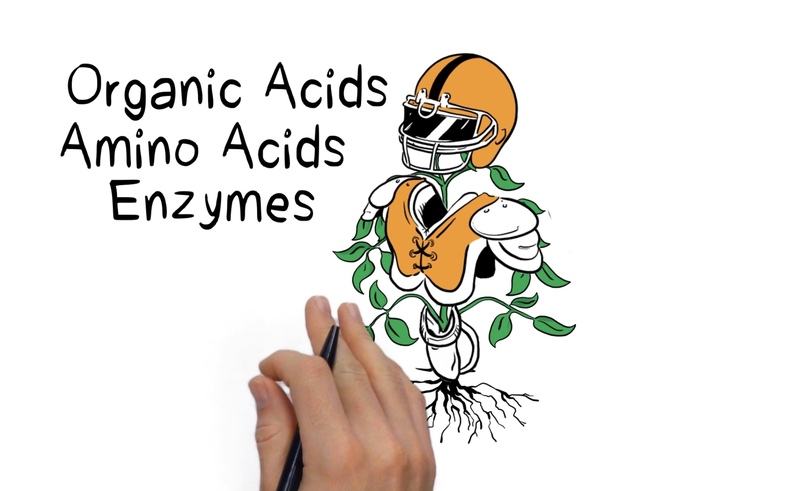 These mechanisms include the production of organic acids, amino acids and enzymes. Several micronutrients like Zinc, Boron and Manganese are required or precursors for this production. This video explains how the plants defend themselves against stress.